Unfortunately, I have never had the pleasure of visiting Switzerland but it is on my travel bucket list for 2016. In the meantime I have been enjoying various travel blog posts on it and of course...the thousands of photos over on Pinterest. Today I am sharing some information with all of you who may be planning a trip. This info is courtesy of the Carlton Hotel. During the 2014/2015 winter season, the Carlton Hotel St. Moritz will be celebrating 150 years of winter tourism in the Engadin Valley of Switzerland. Located in the birthplace of winter tourism, the Carlton Hotel St. Moritz is offering experiences reminiscent of the bet that established this international winter hotspot 150 years ago. The original bet in St. Moritz involved a confident hotelier and four skeptic English guests who did not believe the Engadin winter sunshine could be enjoyed short-sleeved on a terrace  the hotelier undoubtedly won the bet as the four sceptics stayed in St. Moritz from Christmas to Easter 150 years ago. The Bet experience offered at the Carlton Hotel St. Moritz allows guests to follow in the footsteps of these pioneers. The Bet at the Carlton Hotel St. Moritz includes a ride in a Bob Taxi on the Olympic Bob Run, a chance to learn how to play Bavarian Curling, and a Cresta Run beginners course. In addition to the sporting activities, the offer includes four nights accommodation in a suite or junior suite with a daily breakfast buffet, access to the luxurious Carlton Spa, private butler service, ski shuttle to Corviglia ski resort, 24-hour chauffeur service in St. Moritz and much more. 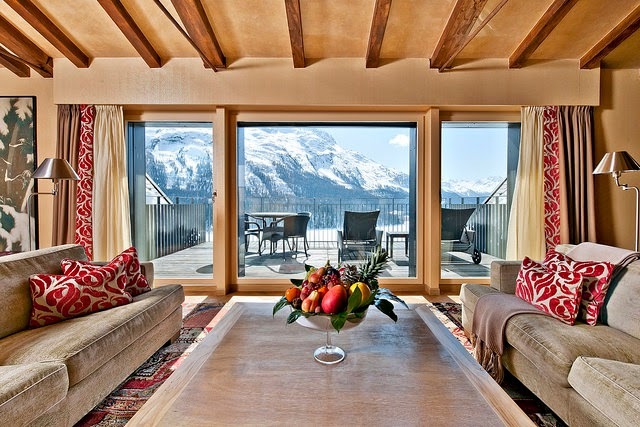 Also offered this year at the Carlton Hotel St. Moritz is the St. Moritz Gourmet Festival experience. The St. Moritz Gourmet Festival, held from January 26-30, 2015 will also be part of the 150th anniversary celebrations, launching this years British Edition of the festival in honor of the areas very first visitors. The St. Moritz Gourmet Festival allows guests to enjoy the culinary expertise of the new Head Chef at the Carlton Hotel St. Moritz, Gero Porstein and guest-chef Angela Hartnetts award-winning Cucina Italiana. Guests will also have the opportunity to enjoy the Welcome Cocktail Party at the Kempinski Grand Hotel as well as the legendary Kitchen Party at the Badrutts Palace. The offer includes three nights accommodation from January 26-29, 2015 in a suite or junior suite with a rich and varied buffet breakfast, private butler service and access to the luxurious Carlton Spa. About the Carlton Hotel St. Moritz: The Carlton Hotel St. Moritz reopened in December 2007 following a substantial refurbishment by renowned Swiss architect Carlo Rampazzi. It is now one of the most fabulous hotels in the Alps  with 60 lake-view rooms, two restaurants, one of the best spas in St Moritz, and the only indoor and outdoor heated pool overlooking the Alps in this area. en.carlton-stmoritz.ch/. The Carlton Hotel St. Moritz is part of the privately owned Tschuggen Hotel Group. The group comprises three multi-award winning luxury hotels in the 5-star superior category and two holiday hotels in the 3- and 4-star segment. 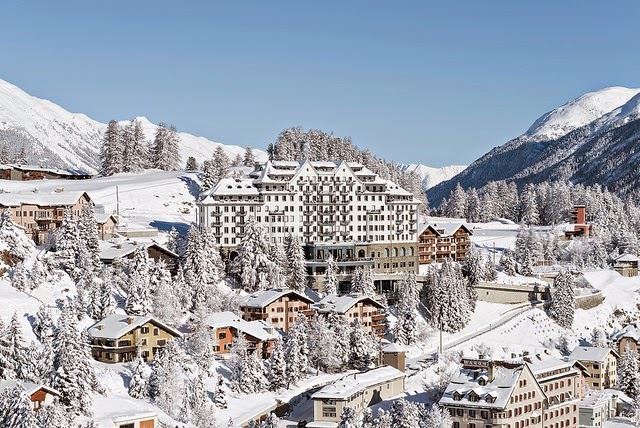 It is synonymous with unique experiences, unostentatious hospitality, award-winning fine dining, superlative spa and wellness facilities, bright and colorful interior designs, and breathtaking views at Switzerlands premier locations: Arosa, St. Moritz and Ascona. With their attractive innovations and offers, the hotels aim to appeal first and foremost to discerning individual guests seeking something out of the ordinary.